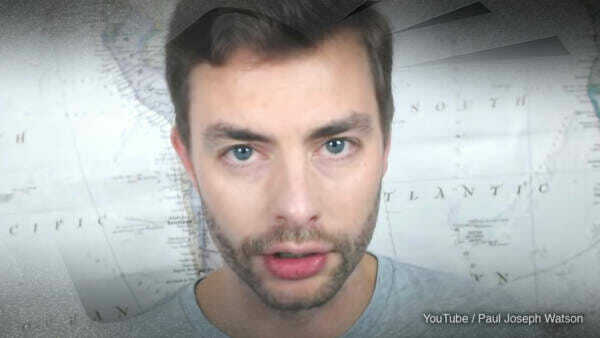 Twitter has suspended the account of the wildly popular YouTuber Paul Joseph Watson at the same time that they permanently banned Infowars and Alex Jones. The censorship comes one day after Twitter CEO Jack Dorsey appeared before Congress and Senate to address the issue of bias against conservatives on his platform. 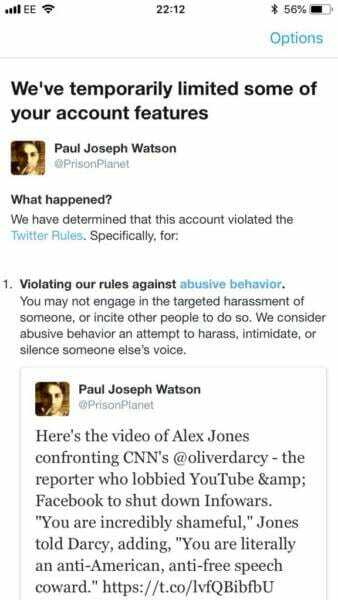 Twitter has claimed that the reason for the Infowars ban was a heated confrontation between Jones and CNN reporter Oliver Darcy that was Periscoped live on Twitter from one of Wednesday’s hearings. Watson, who lives in the UK, was not present during the confrontation. Watson’s 12 hour suspension was for simply sharing a video of the conflict — though he was not there himself or involved in it. This leaves open the question about whether users posting newsworthy videos will be open to suspensions for the actions of those in the footage — right-wing users should probably worry about this, anyways. “The fact that Alex Jones has been banned for ‘targeted harassment’ for a video in which he had a forthright but ultimately peaceful exchange of views with a CNN reporter is ludicrous,” Watson told Gateway Pundit. Following Watson’s ban, Twitter Safety tweeted that they will be continuing to review reports they receive about other accounts that may potentially be associated with Jones or Infowars.